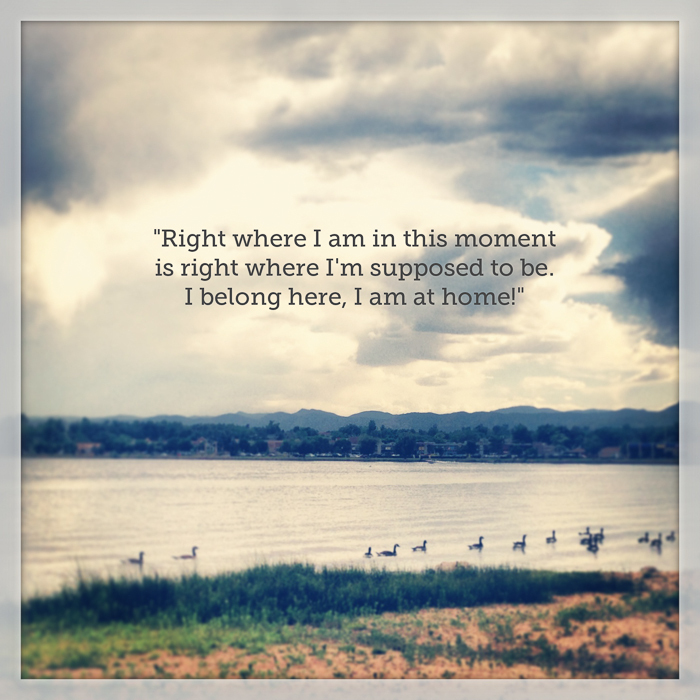 Alex, our yoga instructor, shared this centering thought a few weeks ago. And I can’t stop thinking about it. For the past 6-8 months or so, I’ve been attending yoga classes pretty regularly – at least 2-3 times a week. I credit my sister for my attitude change towards yoga. She’s been practicing for years, and her yoga is strong and fluid and well, pretty. My yoga, well, lets just say its not as pretty. I used to approach yoga as a supplement or addition to my running and biking and swimming. If I made it to class once every two weeks, I considered that enough. True, I mostly attend class for the physical practice of yoga. But Alex also encourages a spiritual practice too. And the Monday night yoga+meditation class has been good. And I’ve accepted her challenge to go there and self-examine. And going there…well, I seem to circle back over and over to what I do most of the day. And that’s work. I’ve come to realize that I should let go of professional ambition. I often struggle with ambition. I feel that my life has taken this trajectory and that I really need to stay on it. To hit accelerate instead of brake. Me: Well, maybe there’s some flexibility in where I work. But I know. I know a lot. I know my job. I know my people. I know that I enjoy my current flexibility and the proximity to home and family. And while an increase in responsibility (and promotion along with it) would definitely be the challenge I crave (and lack in my current position), I do so enjoy so much about where I am now. So, here’s to being enough. To having enough. And to letting go of where I think I should be and recognizing where I’m supposed to be. So I’m just reading this now in a (rare) moment of peace and quiet in the house. And WOW. You put so many thoughts and feelings into words that I’M SURE you are not the only one thinking. I know for one, I know how you feel. I mean, remember my life when we first met and used to run in the woods together? Now look at my life. I’m happy and love it, but never thought I would be here and (more than) sometimes wonder about “what’s next?” “what should I be thinking about professionally?” And really, I barely have time to change my underwear and brush my teeth 7x/week. Why on earth is that even on my radar? You said it so well. I miss you.